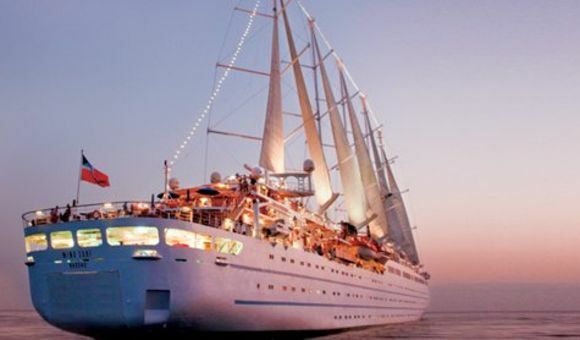 Windstar Cruises has been delivering exceptional cruising experiences since 1984 when the Wind Star first set sail. Since then, the fleet has grown to include five more exquisite yachts. In total these intimate vessels can accommodate just 310 guests, ensuring excellent attention to detail and personalized customer service throughout. Regarded as one of the world’s best small ship cruise lines, Windstar cruises leads the way with intimate explorations of places inaccessible to larger ocean liners. On board, you can expect to find supremely comfortable, well-appointed accommodations with exquisite sea views. Meals are enjoyed on the verandah, in the dining room, or in the comfort of your suite. Days at sea include the option for gym sessions and indulging in kayaking, swimming, sailboarding, and water skiing from the Watersports Platform. There’s always time for lounging on the sun deck, relaxing with a world-class spa treatment, soaking in the bubbling whirlpool, or reading in the library. You’re welcome to visit the captain on the bridge when you sail with Windstar Cruises. Evenings pass in a whirlwind of live music in the lounge, taking a chance in the casino, or enjoying a nightcap overlooking the ocean from anywhere on board.